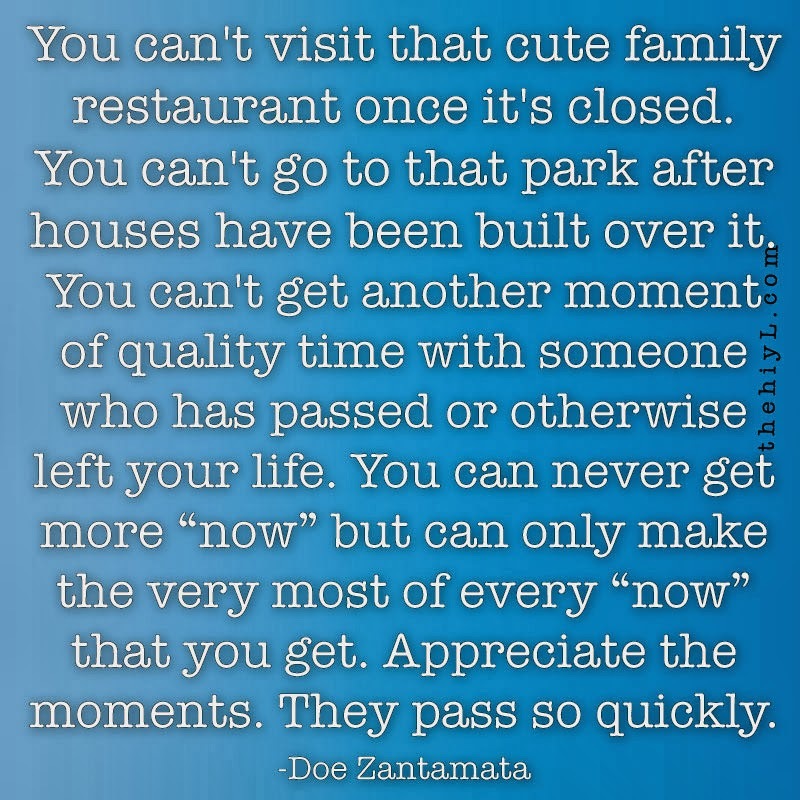 You can't visit that cute family restaurant once it's closed. You can't go to that park after houses have been built over it. 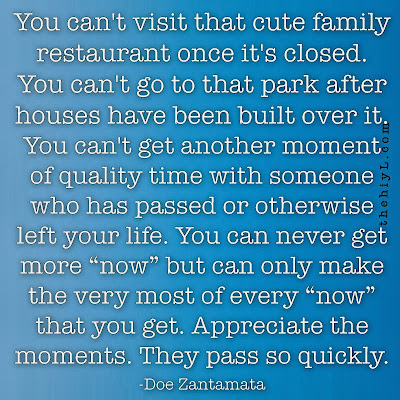 You can't get another moment of quality time with someone who has passed or otherwise left your life. You can never get more ”now” but can only make the very most of every ”now” that you get. Appreciate the moments. They pass so quickly.